Gift from Briana at Bree's Books. 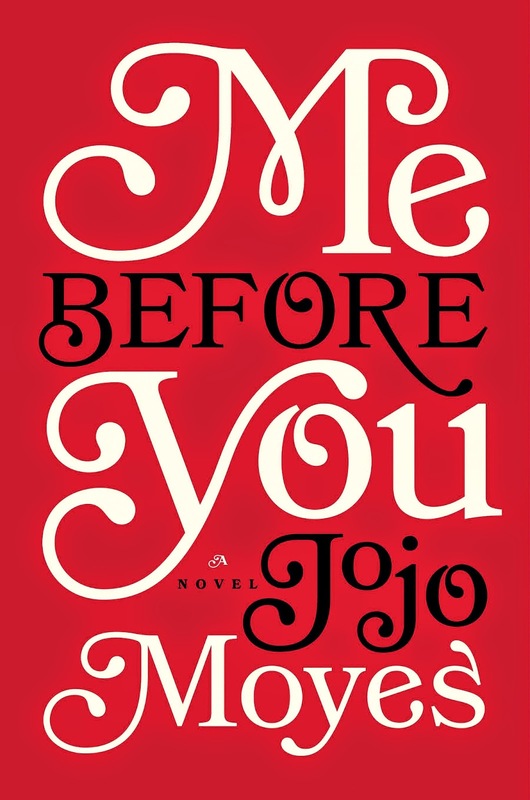 Me Before You is now one of my favorite books. I highly, highly, recommend you pick this one up. I was completely committed to our main character, Lou's, story and Will’s too. I found Moye’s writing to be absolute perfection. With everything going on in my life right now, for me to feel a complete escape with a book is not something I was expecting. It was impossible to put down, seriously. If it wasn’t the start of the semester I would have stayed up all night and finished it. I started this book on Wednesday night and finished late Thursday night. All of Wednesday it was the only thing that my thoughts kept drifting to. Now after finishing it, it's still what my mind keeps going back to. If you pick up this book, which you without a doubt should, be prepared to be completely immersed and have your mind belong to only the story. I’ve never really felt this way about a book before. It’s a new experience with reading that just validates how incredibly special books can be. Trying to form coherent thoughts on this book is impossible. All I know is I can't stop thinking about it and that Me Before You will stick with me for decades to come. It’s like I’m not really sure how I’m suppose to feel and maybe that is the point. Maybe there’s not suppose to be answers to everything, even the important things.